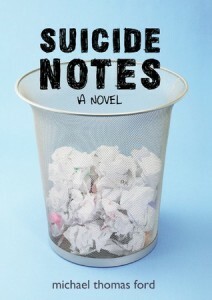 Suicide Notes is told from the POV of Jeff, a fifteen year old kid who wakes up in the psychiatric ward of a hospital, on New Year’s Day, after attempting to take his own life. His arms are bandaged, his mind is kind of a mess and Jeff finds himself thrown into an entirely new situation; he’s forced to interact with the other kids in his ward and talk to a psychiatrist about his problems. Despite the incredibly difficult subject matter, this book manages to be funny – Jeff is cynical, observant and always ready with a sarcastic remark. His observations about the world around him are always accompanied with dry, black humour and it really adds to the tone of the book. Each character has their own tragic past as well as a host of problems but they manage to offset the bleakness in their lives with laughter, which is true of the human condition tbh. People mask their pain with laughter and this is a theme that runs throughout this book. We’re not told why Jeff has been admitted or what the other patients are suffering from – the plot builds gradually to the reveal, although there are clues in the text. Every character is a mystery unto themselves but what sets Jeff apart is his adamant belief that he doesn’t belong in the ward. It is a bleak but powerful novel about the human psyche and what drives young kids to the most extreme actions – Jeff goes through a huge amount of development as a character in this novel and, at least to me, it is a massive statement about the kind of world we live in, when kids can feel more accepted in a confined ward than out amongst society. This was definitely one of my favourite reads of the year so far. I am glad to hear you liked this book. It was on my TBR shelf but I wasn’t entirely sold – thanks to this review, I now am! Yeeeeeeeeeeees, this is a GREAT book and it deserves more notice! I like that it’s a male POV and I’m always in for sarcastic characters and dry, dark humor. I haven’t heard many things about this book before, but I’ll keep an eye on it for sure. This sounds very interesting and I really enjoyed your review- I’m not sure if I’d have really looked into it otherwise, so I’m really glad I saw this! 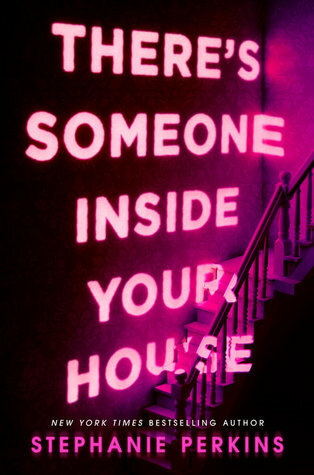 I’m certainly adding it to my TBR list and hope that it’s as good for me as it was for you! It’s so fantastic that it was is of your favourites of this year! Great review! Haven’t seen this one before, not something I would normally read. But I have to say that it definitely peaked my interest. Great review.